December is always my busiest baking time of the year. 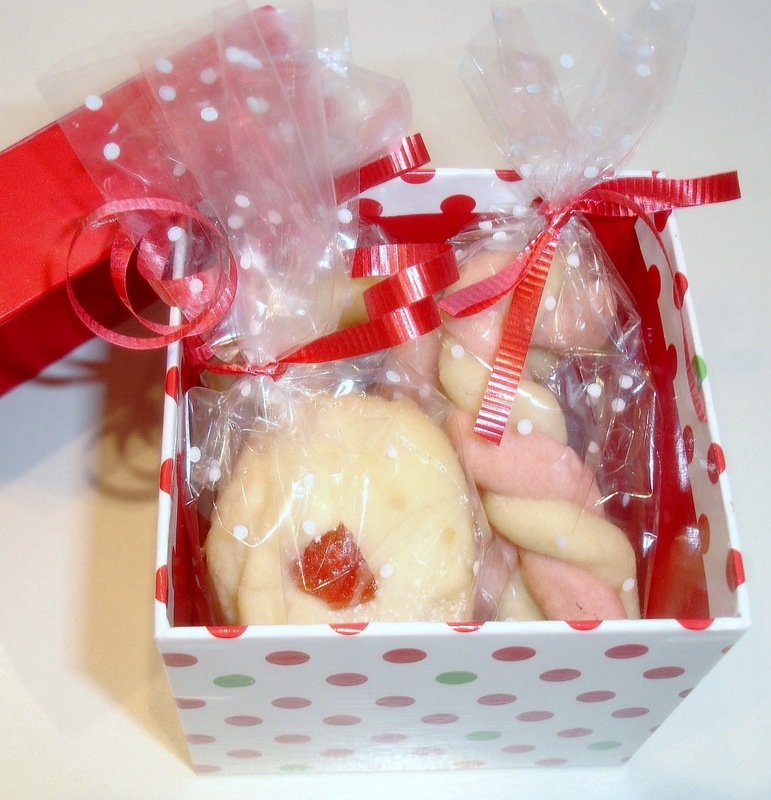 I have a wide collection of Christmas cookie and dainty recipes. 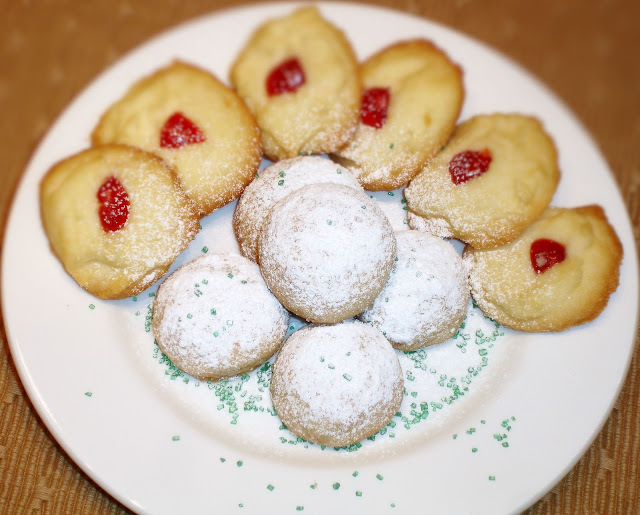 Most of my favorite recipes are very traditional and easy to follow such as shortbread cookies, pecan balls, sugar cookies and candy cane cookies. I love cookies that are made with real butter. 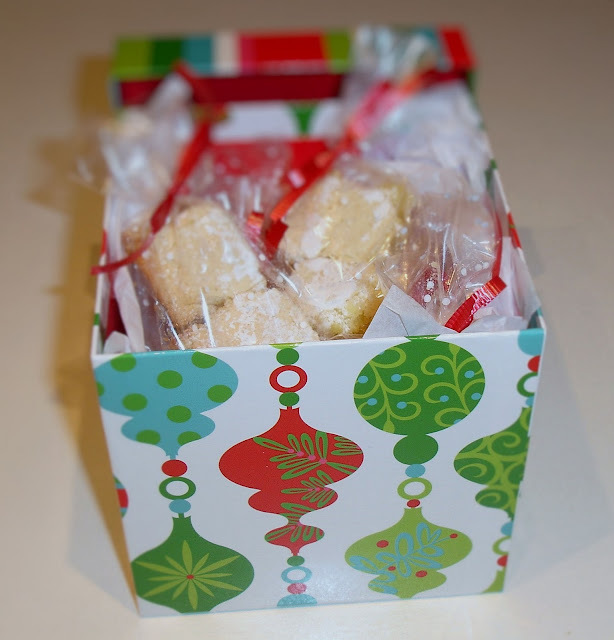 Every year I make so many batches of shortbread cookies for Christmas. The kind I bake the most is Whipped Shortbread Cookies. I have this recipe for a long time. It was my friend who passed it onto me. I was just a beginner in baking at that time. This Whipped Shortbread Cookie recipe is very simple and very popular. When you search on the internet, you can see a lot of people posting the same one. 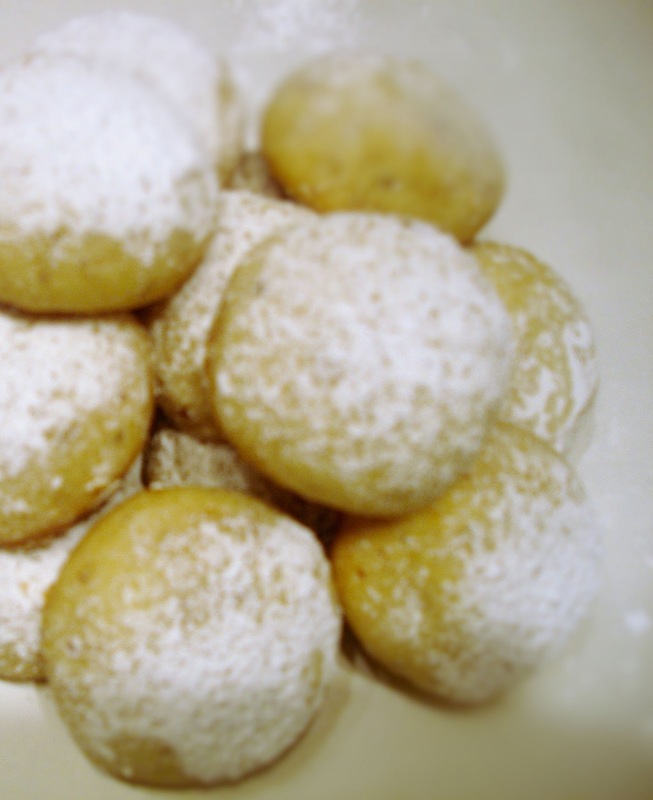 Although this recipe is not unique, I still like to share it with you or with someone who has never baked before. Combine all the ingredients in a bowl and beat for 8 to 10 minutes. Drop teaspoonfuls of mixture onto baking sheet. Put one piece of cherry in the center. Bake for 13 to 15 minutes or until lightly browned. In a bowl of a stand mixer, using a flat paddle attachment, beat butter for 30 seconds. Add sugar, salt and vanilla. Beat until combined. Add flour and beat until well mixed. Shape the dough into about 3/4" balls. Place the balls 1" apart on ungreased cookie sheet. Bake for 15 minutes or until bottoms begin to brown. Transfer to wire rack. Let cool. In a bowl of a stand mixer, using a flat paddle attachment, beat butter and sugar until creamy. Add peppermint and vanilla extracts to the mixture. Mix well. Gradually add flour. Mix until the dough is smooth. Divide the dough into two parts. Color one half with red food coloring. Leave the other half plain. Roll out a tablespoon of red dough and a tablespoon of plain dough into 6" to 8" long. If you find the dough too soft to work with, refrigerate the dough for half an hour. Twist them together into a candy cane. Pinch the ends.